On February 7, authorities released the autopsy report of 16-year-old Nogales, Sonora resident José Antonio Elena Rodriguez. 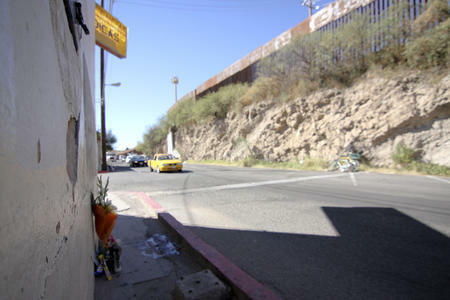 A U.S. Border Patrol agent, firing from the United States last October 10, killed Jose Antonio. The findings of the autopsy paint a troubling picture of that evening’s tragic events. 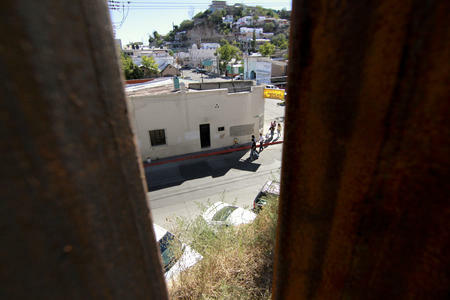 According to a report on the autopsy, Border Patrol shot the young man between eight and 11 times. All but one of those bullets struck him in the back. Most of the wounds were found to have an upward trajectory, a strange finding given that the Border Patrol agent was firing down into Mexico from the top of a roughly 15-foot cliff. Medical examiners conducted the autopsy the morning after the shooting with the Nogales, Sonora State Attorney General’s office. A detailed report filed shortly after the incident by two Nogales Police Department officers who were on scene throughout corroborates portions of the Border Patrol’s story, but calls other parts into question. Officers John Zuniga and Quinardo Garcia both report seeing rocks thrown, but neither officer reports hearing any Border Patrol agent issue a warning before opening fire. The Nogales International asked Pima County Chief Medical Examiner Dr. Gregory Hess to review the autopsy’s analysis for their report on its release. Hess said that a mistaken identification of exit wounds for entry wounds by the Sonoran Attorney General’s Office medical examiners could explain the strange upward trajectory of some of the bullet wounds found in the original autopsy. 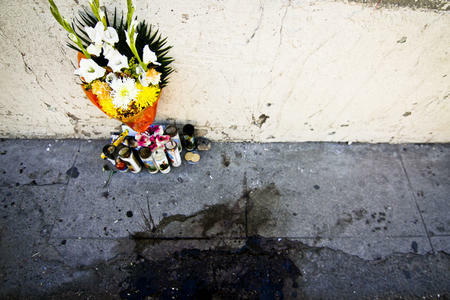 Or, Hess suggested, most of the bullets struck José Antonio in the back after his body was on the ground. One possibility in this regard, suggested Hess, is that the first bullets might have knocked Jose Antonio down, with the rest of the bullets striking him after he was lying down, which would also explain the strange upward trajectories of some the wounds. Luis Parra, one of the lawyers representing Jose Antonio’s family, said that the autopsy raises further questions about the action taken by the agent who killed the young man. "I'm not saying it's a clear case of excessive force, but it is a very strong case for excessive use of force," Parra said in an interview with the Associated Press. "The Border Patrol agent who was firing could have easily taken cover." José Antonio Elena Rodriguez’s family is considering filing suit against the Border Patrol. Murphy Woodhouse is an MA student at the University of Arizona's Center for Latin American Studies. His research interests include migration, deportation, U.S. immigration enforcement, and the Mexican drug war.